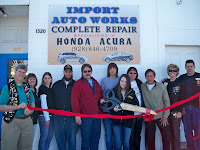 The Lake Havasu Area Chamber Ambassadors held a ribbon cutting for new business and Chamber member Import Auto Works. 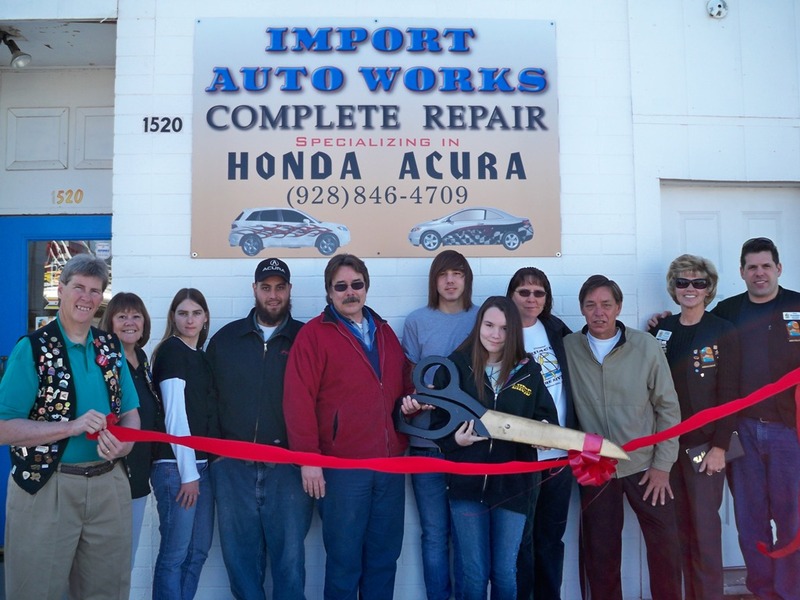 Harry Collins, Master Tech, specializes in import autos including Honda’s and Acura’s. Pictured from left to right are; Rick Broker, Kathie Schuler, Chere Iqbal, Joe Iqbal Master Tech, Harry Collins Master Tech, John Collins, Lisa Collins, Emily Collins, Tom Collins, Denise Johnk, and Danny Kowalski. For more information contact Import Auto Works at 846-4709 or stop by the shop located at 1520 Countryshire.